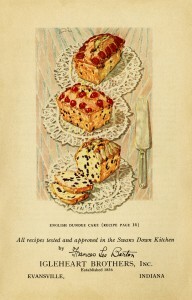 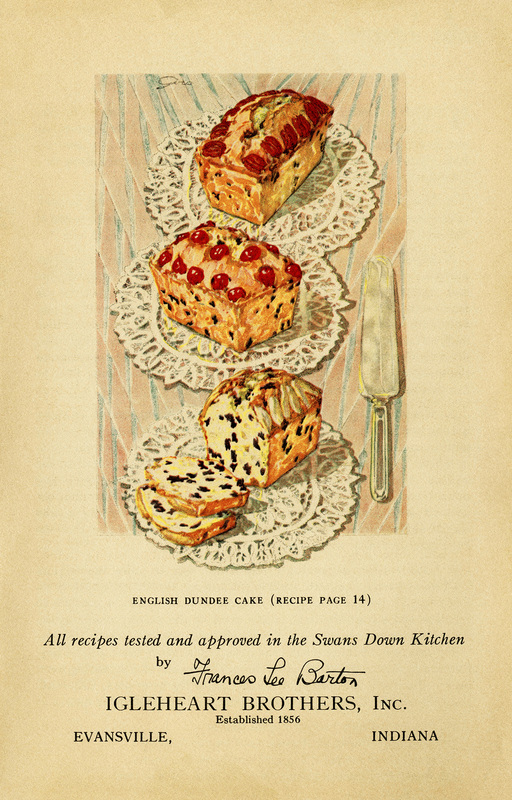 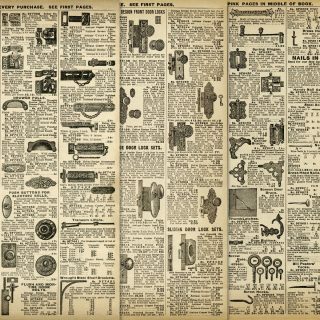 This page, from a vintage cookbook, includes an illustration of three English Dundee Cakes. 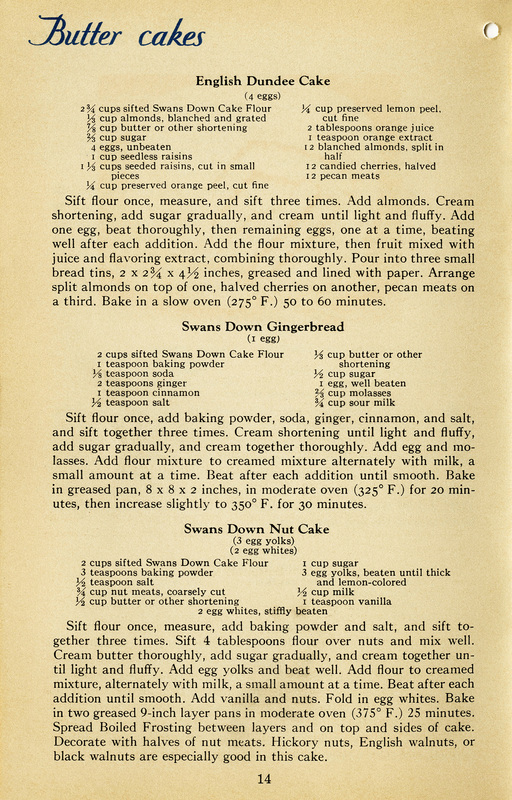 Here is another page from the cookbook that includes the recipe for English Dundee Cake as well as recipes for Gingerbread and Nut Cake. Here is a cleaner version of the illustration of English Dundee Cakes. 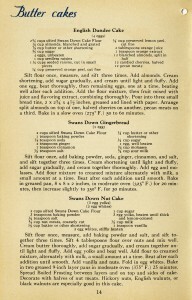 The pages are from Cake Secrets, by Igleheart Brothers Inc., 1928 P. Co., Inc. (copyright was not renewed). 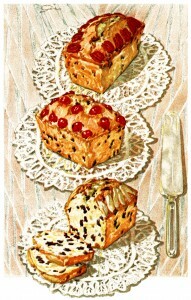 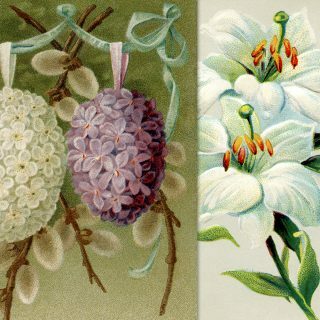 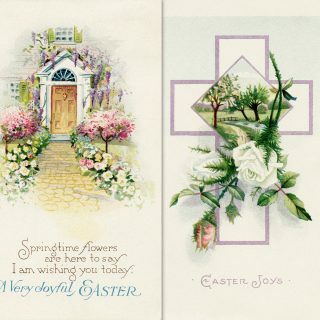 These are beautiful thank-you, adding these to your other recipe pages. 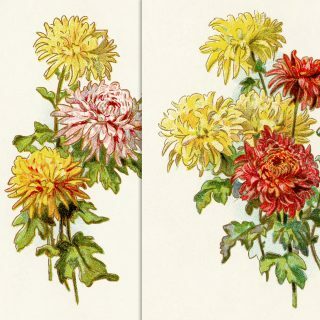 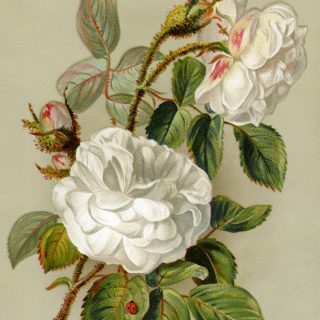 I want to do something with these lovlies when I get a chance.